A big part of simplifying your holidays involves prioritizing the traditions, values and events that mean the most to you. When you prioritize the activities and events that are most important to you and your family, you can then organize your schedule around them. If family tradition dictates a big tree decorating party on the weekend before Christmas, schedule it in and skip some lesser events. Choose activities that are meaningful and memorable for the whole family and let other things slide. Don’t feel obligated to go to every party, dinner, parade or show you’re invited to. Choose the ones that mean the most to you and enjoy them fully. The picture above is an example of one of our traditions. The stuffed animal is named Christmas Monkey (yes, I know it’s a gorilla), and it was given to my son by his great grandfather on his very first Christmas. Since he was a baby, we take a photo of him (and now him with his brother) in Christmas pjs in front of the tree with Christmas Monkey. We have a collection of these pictures stemming from infant-hood when Christmas Monkey was bigger than they were! 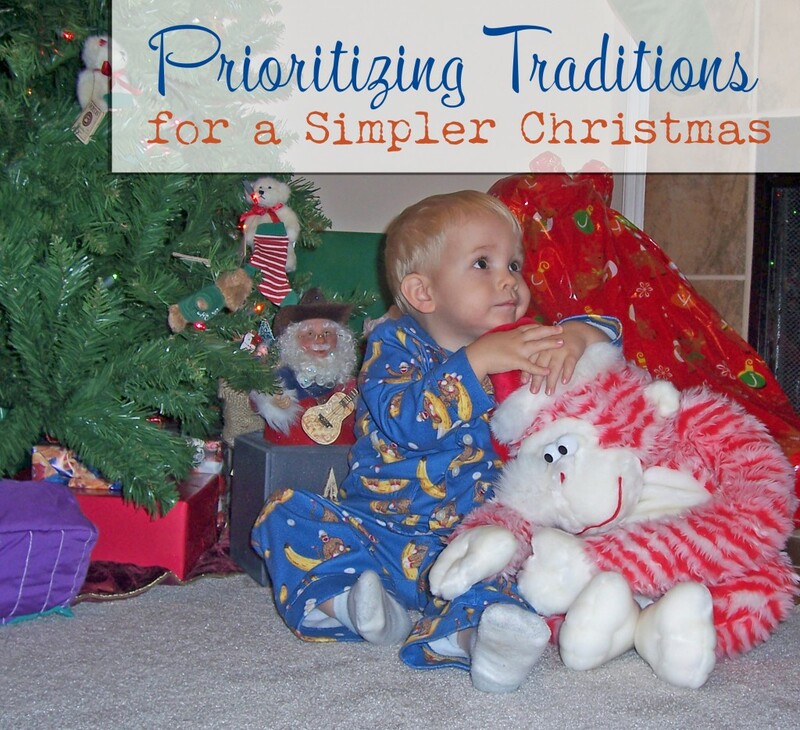 Prioritizing your values and traditions can also help you figure out how your Christmas budget will be spent. If gift giving is a big part of your traditions, then you know a lot of your budget is going toward gifts, and you can plan accordingly. If your family values quality time over store-bought gifts, then you know you can cut back on the gift budget and dedicate more of your budget to entertaining or family outings. It’s important to discuss these priorities as a family so everyone is on the same page. Try not to compare yourself, your celebration, your gifts or your traditions against some “ideal holiday,” real or imagined. Be true to yourself and your family. Don’t be pressured by other people — friends, family or society in general — to keep up with the Joneses’ holiday. When you’re selecting a gift, throwing a party or RSVP’ing for those events, decide what you want to spend in both money and time, and stick to it. 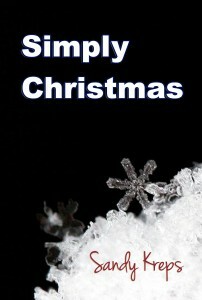 For more ideas for an easygoing holiday, check out my book, Simply Christmas, with 101 ways to simplify the holidays. I’m also curating a special Pinterest board, Simply Christmas, so be sure to follow!